Thank you all who have served, continue to serve, or may serve this great nation in the future. There truly are no words that we can pen which will even remotely be able to express the level of unbounded respect that we have for all that you do. For those of you who ride motorcycles and want to represent your branch while on the bike, Joe Rocket has two current options that offer that opportunity. For anyone looking to showcase the United States Army logo, the Joe Rocket Army Recon Jacket offers a warm weather option with a few neat features. 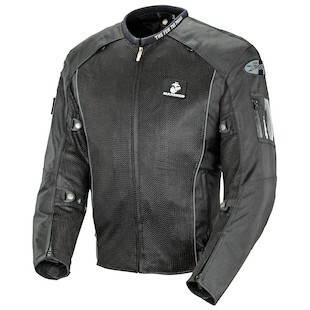 Constructed out of a FreeAir poly/mesh shell, this jacket is geared to keep you cool when the weather gets hot. The lightweight and highly ventilated jacket is not as burly as a full leather or textile options, but the CE-rated protectors in the shoulders and elbows work to protect you in the event of a crash. Additional features include a built-in I.D. pocket, 8” zipper for pant attachments, and is an officially licensed product of the United States Army. Built to the exact same specifications as the Army version, the Joe Rocket Marines Recon Jacket proudly displays the logo of the Few and the Proud. Though it is a mesh jacket that is designed specifically for warm weather, the inclusion of a removable waterproof liner not only keeps you dry should you encounter inclement weather, it will also serve as a windbreaker that will keep the jacket comfortable at slightly cooler ambient temperatures. 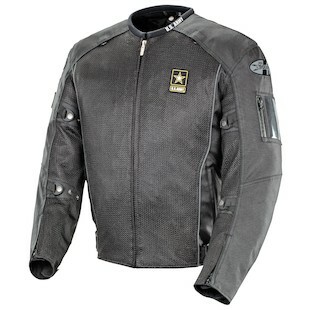 Additionally, the jacket, just like the Army version, comes with a fold-away reflective safety vest, 8-point SureFit custom adjustment system, and is officially licensed by the United States Marines. If you have spent time in either branch, or if you just want to show your appreciation for the Armed Services themselves, the Joe Rocket Recon will be a solid choice for warm weather riding.